Refractive errors are some of the most common vision issues that people experience. These are better known by the following common names: myopia (nearsightedness), hyperopia (farsightedness), and astigmatism. Our Detroit eye care center offers a number of treatments for refractive errors, including safe and effective laser vision correction and refractive surgery. Two of the most popular refractive surgery options out there today are LASIK and PRK. Let's compare the two so you know which may be better for you. Before comparing these surgeries, let's look at the basics of refractive surgery and how it works. Refractive surgery refers to different procedures that are performed to alter the shape of the cornea, which is the thin, transparent outer layer of the eye. By doing this, light is properly focused on the retina, which is the tissue located at the back of the eye that is essential for clear vision. There are different refractive surgery procedures available in addition to LASIK and PRK, but let's just focus on these two right now. LASIK (laser-assisted in situ keratomileusis) is one of the most popular refractive surgery options currently available. 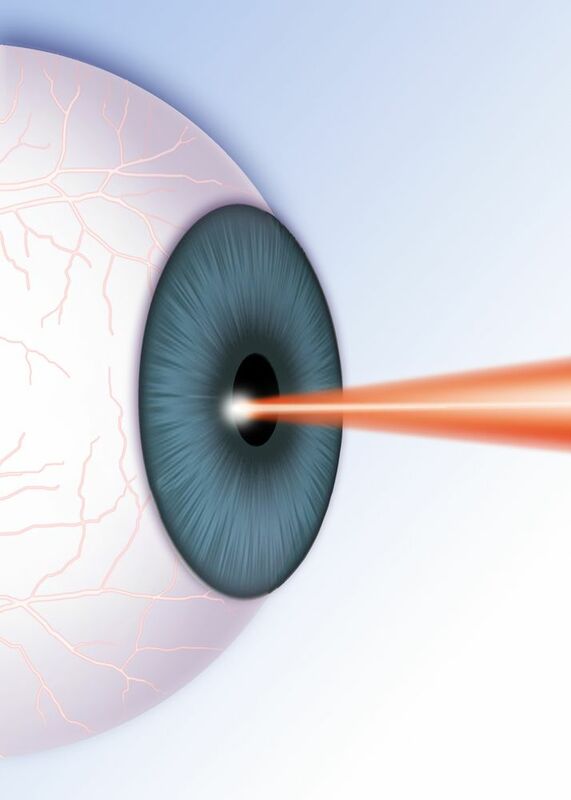 During LASIK, a small flap is created on the topmost portion of the cornea, which is known as the epithelium. The flap is lifted up so a laser can reshape the cornea and then set down at the end of the procedure. Good candidates for LASIK are at least 18 years old and have had a stable prescription for at least a year. It's important that LASIK candidates not be pregnant or nursing at the time of surgery, and they not suffer from dry eye syndrome. It's important for LASIK patients to have normally shaped corneas of average thickness. Issues with cornea size and thinness may mean LASIK is not an ideal option for that patient. PRK (photorefractive keratectomy) is another piopular refractive surgery option. During PRK, the epithelium is cut away rather than a flap being created. The procedure is otherwise the same as LASIK, with the cornea reshape via laser. During the healing process, the epithelium will grow back. Candidacy for PRK is similar to LASIK, with the same types of qualifiers involving age and general health/wellness. The primary difference is that PRK can be performed on people who may have thin corneas or issues with corneal shape. When Is LASIK Better Than PRK? LASIK tends to be more ideal than PRK for a number of patients since the recovery process tends to be a little shorter. There is also less discomfort after LASIK when compared to PRK, which is an important consideration for a number of patients. PRK is typically better than LASIK when patients have no other options for vision correction surgery. The end results are comparable to LASIK with regard to overall vision quality and the freedom from corrective lenses. Since LASIK and PRK each have their advantages and disadvantages, it's important that you schedule a consultation at our practice. You'll be able to get the answers you need to make a confident choice about your vision care options. To learn more about LASIK, PRK, and other eye care procedures that can help you see clearly, be sure to contact our laser eye surgery practice today. The entire team looks forward to your visit and helping you achieve total wellness.